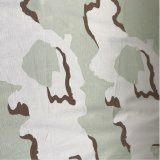 Camouflage cotton fabric on heavy duck bottom weight sports the prints the US Army, marines, other and military troops wear for their combat uniforms. 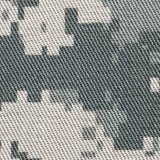 These are the most current pattern the services are using. 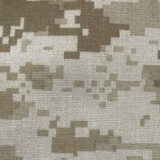 Buy camouflage material by the yard and create highly durable pants, jackets, heavy shirts, covers, and ponchos.